The Specials formed in Coventry in 1977 and after some lineup changes and the formation of the 2-Tone record label by the band’s leader Jerry Dammers, saw their first single, Gangsters, become a top 10 hit in the UK in the Summer of 1979. 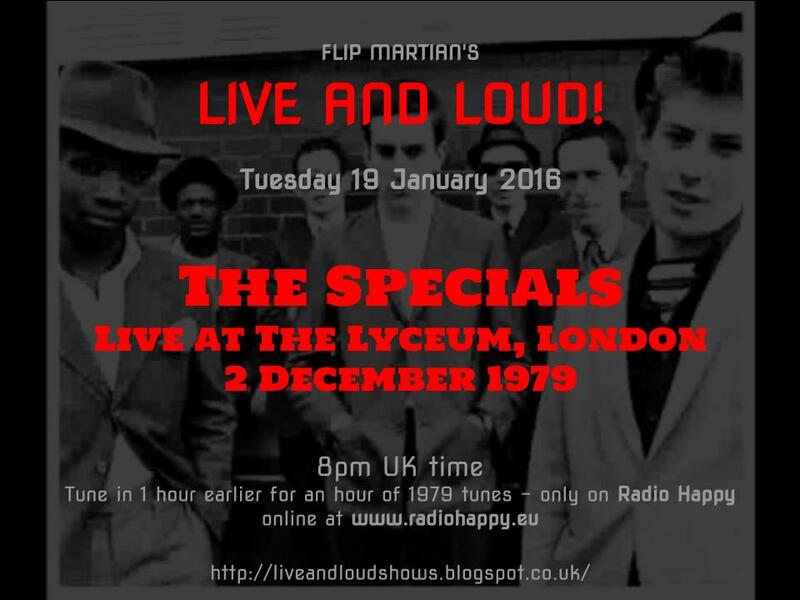 October saw the release of their first album, also called The Specials, which featured a number of tracks you can hear in tonight’s show. In December 1979, at a time when their 2nd single, A Message To You Rudy, was becoming their 2nd top 10 hit, and a month before they went straight to #1 with The Special AKA Live! EP, featuring Too Much Too Young. A brief word about this show - I think it was originally for French radio, as someone is babbling away in French in between some of the songs - I’ve taken that out without losing the songs but some of the gaps between songs are very short as a result! Maybe I should have left it in but it was fairly loud and annoying to me. So its a fairly breathless gallop through the set for about 40 minutes from 2Tone’s finest! This show is dedicated to the memory of John Bradbury, The Specials’ drummer, who sadly passed away at the age of 62 over Xmas 2015. Many thanks for all you share, much appreciated.